Cloud point extraction (CPE) was used to extract uranium (VI) from an aqueous solution in acetate media. The methodology used is based on the formation of uranyl-ionic liquid (I) complexes and uranyl-D2EHPA soluble in a micellar phase of non-ionic surfactant (Triton X-100). 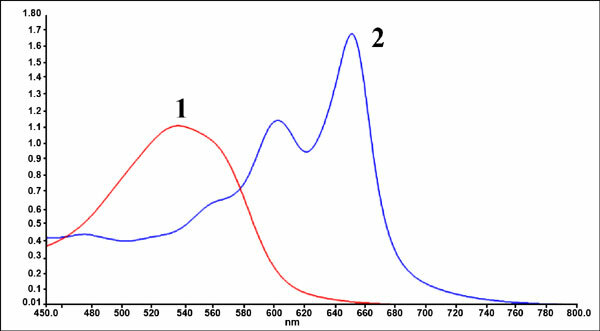 The uranium (VI) complexes are then extracted into the surfactant-rich phase at ambient temperature. The ionic liquid (IL) used as a chelating agent was synthesized and characterized in this study. It is composed of N-butyl N’-triethoxy methyl imidazolium cation and anion diethylhexylphosphate (D2EHPA-H). The effect of the ionic liquid IL on the extraction efficiency was studied in the presence and in the absence of IL’s cation in acetate medium. Keywords: Acetate medium, cloud-point extraction, ionic liquid, spectrometer, triton X-100, uranium. Keywords:Acetate medium, cloud-point extraction, ionic liquid, spectrometer, triton X-100, uranium. Abstract:Cloud point extraction (CPE) was used to extract uranium (VI) from an aqueous solution in acetate media. The methodology used is based on the formation of uranyl-ionic liquid (I) complexes and uranyl-D2EHPA soluble in a micellar phase of non-ionic surfactant (Triton X-100). The uranium (VI) complexes are then extracted into the surfactant-rich phase at ambient temperature. The ionic liquid (IL) used as a chelating agent was synthesized and characterized in this study. It is composed of N-butyl N’-triethoxy methyl imidazolium cation and anion diethylhexylphosphate (D2EHPA-H).